Employee appreciation is important to us at Kalas. One of our core values is CARING and throughout our organization, we want to strive to show that value. This past month we had the joy of honoring our of Veterans for Veterans’ Day. Instead of saying a simple thank you this year, we decided to organize a fun challenge to win a gift card. Through asking for submissions of “selfies” with a Kalas Veteran, we had a fun way to celebrate their bravery on the honorary day and beyond. 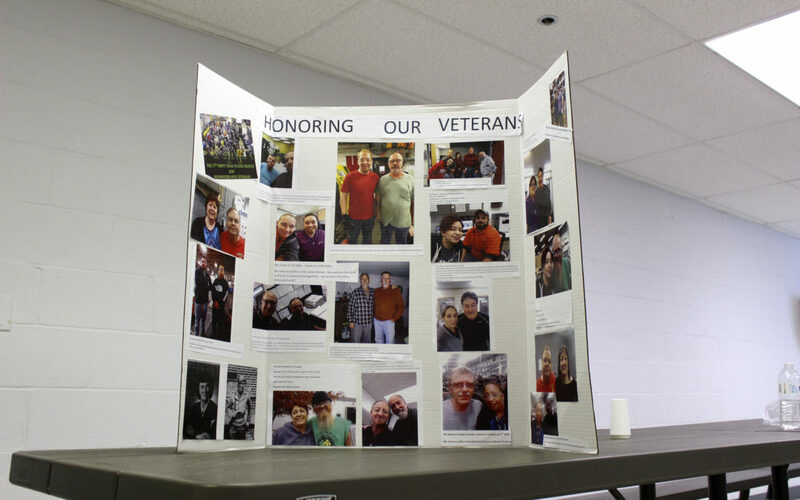 Photos from the challenge now adorn Kalas lunchrooms across our facilities in Lancaster and Denver, PA. Collated packages with special mugs, notes, and army men went out to all the Veterans who participated in the challenge. Congratulations to Kim Brugger, the winner of the Veteran’s Day Selfie Challenge! Thank you Veterans for all you’ve done to serve our country.